If you are great at planning your week, how do you manage your freetime? Do you often leave it to chance? Whilst it might seem like a great idea at the time, you might quickly come to regret that decision when the freetime is over and you have not accomplished anything. This is simply down to not planning effectively, it is not about ensuring that you plan for every minute of the day, what it does mean is that you have an idea of what you need to accomplish in the time that you have, this time is precious and using it wisely will pay off in the longer term. It would be nice to keep all the details for everything that we need to do and get in our heads. For many of us this is just not possible, not only could we not remember everything, the chances are that we would forget the important things to do as well as the everyday tasks, unless you have established a routine for some of the basic, daily tasks you perform. It doesn’t matter if you are an electronic planner or a pen and paper planner the most important thing you can do is to plan. Plan on your preferred medium and getting this right is the key to successfully managing your freetime. You can’t successfully plan your day, week or month if you don’t know what you need to do. Just writing down that you need to complete your tax returns, isn’t giving you a set of tasks to perform and this will lead to putting off the task because you don’t have a clear plan as to what you need to do; this task will end up being a last-minute rush because of a lack of planning. Only when you can list the tasks for each major task, can you break these down into manageable and do-able activities, which will help you use your freetime more effectively. It is the same if you are planning on doing your ironing on a Sunday afternoon so your clothes are all ready for work on Monday, but if you haven’t put them in the wash or dried them there is little chance that on Sunday afternoon you will be able to iron anything you want. Therefore, if you recognize that many tasks are in fact part of a larger task and can put these smaller tasks into your week then you are in a better position to complete the task without rushing or stressing about the result. Going back to the example of the ironing, if you knew that you needed to put your work wear in the wash on the Friday night after work and plan to dry the clothes on a Saturday then on the Sunday afternoon they are ready to iron, without worrying that they are still in the laundry basket Sunday lunch time. Knowing what you need to do and when, is the key to a successful plan, but you must break these plans down. You don’t want you home to-do list mixed in with your work to-do list, whilst this means having more than one list, in the long-term it is a great way to learn to separate out work time from your freetime. 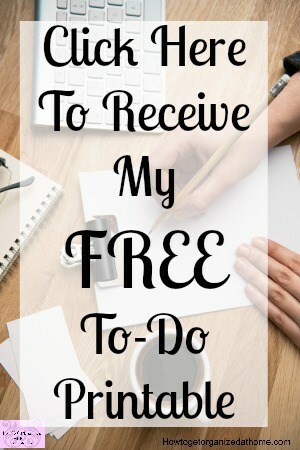 You will start to see an improvement in completing those tasks in your freetime because they won’t get mixed with work tasks and you will have better focus on the tasks you need to do and when. It is important that you understand the time available to you, at the end of the day we all only have 168 hours in a week and in that time you have to factor in your sleep time and work time. 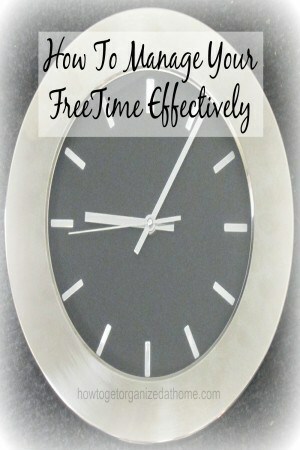 Putting too much into your freetime segments can make them seem non-productive but this will be because you have overwhelmed yourself with too much to do. Therefore, if you are looking for a more effective way to manage your freetime then you need to ensure that you are planning effectively, separating your home life from your working life and not expecting too much in the time available to you. Reducing the amount of tasks can increase productivity because you aren’t overwhelmed by the tasks that you need to complete in your freetime.